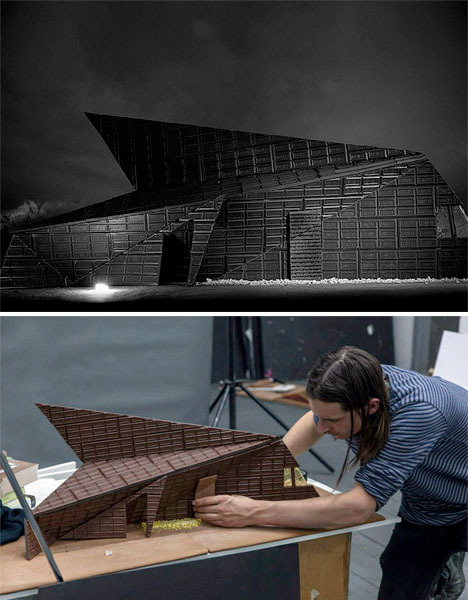 The pyramids of the Louvre shine in hard candy, the Guggenheim gleams in solid sugar, and gingerbread makes for convincing concrete on Zaha Hadid’s Maxxi museum in this series of edible modern architecture. 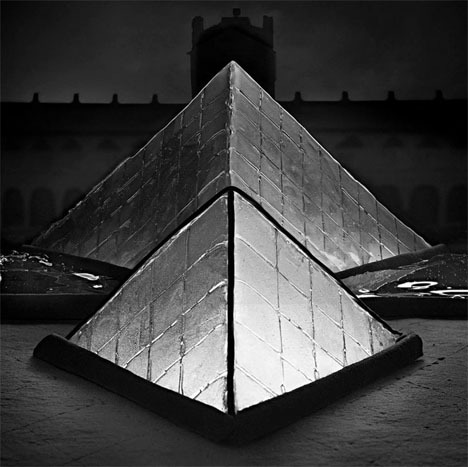 Photographed in black and white and illuminated from within, the collection of gingerbread museums by photographer Henry Hargreaves and food artist Caitlin Levin looks strikingly like the real deal. 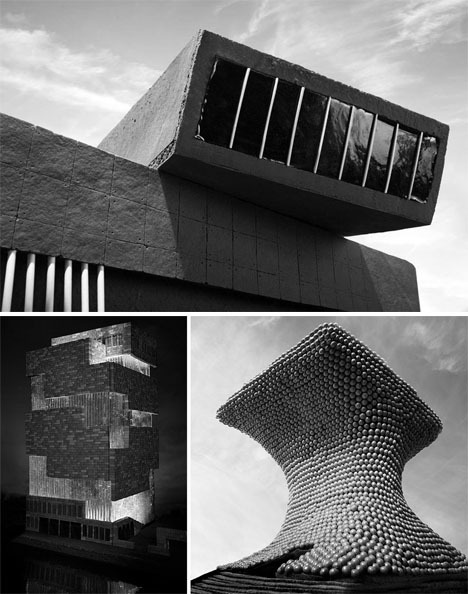 The landmark museums depicted also include the Tate Modern, the Museum Aan de Stroom, Mexico City’s Museo Soumaya and the Karuizawa Museum in Nagano, the latter of which is constructed almost entirely of Hershey’s chocolate. 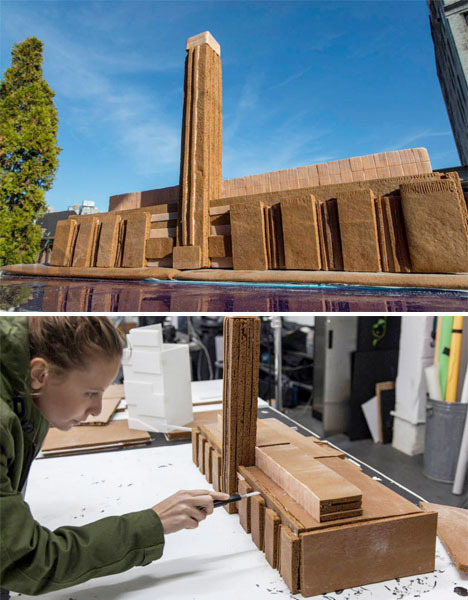 Bubble gum, candy balls, taffy, lollipop sticks, icing and licorice help create the illusion of bricks, textured stone, glazed walls and other architectural elements for the scale models. 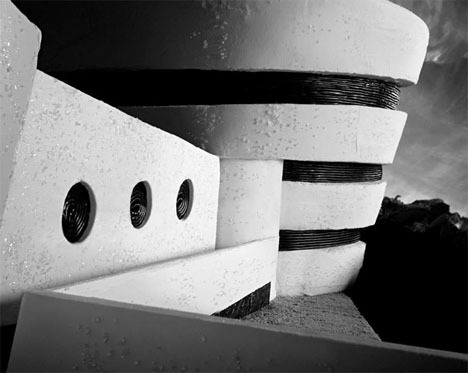 The pieces go on display today at Dylan’s Candy Bar in Miami for Art Basel 2013.